The hotel has 5 fully equipped function rooms, ideal for functions ranging from seminars, exhibitions to wedding banquets and private celebrations. Dewan Asajaya & Meisan Restaurant : Fit 650 persons for banquet. Pelagus Room : Caters up to 180 persons for banquet or 200 persons theatre-style. Can be divide into 3 smaller rooms namely Santubong Room, Bario Room and Mulu Room. 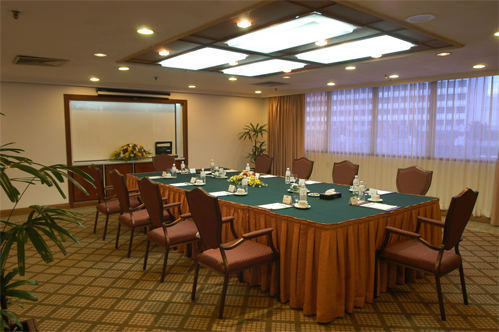 Sadong Room, Crested Jay and Conference Room : Perfect for presentation to small group between 15 to 80 persons. 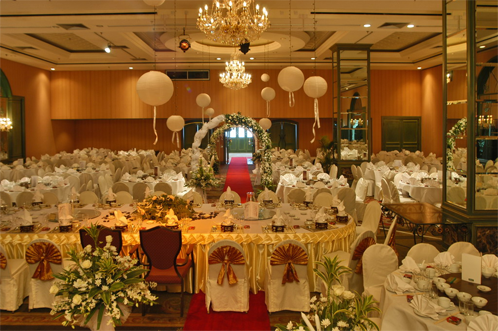 Asajaya Ballroom is a combination between Dewan Asajaya and Meisan Restaurant. It covers 31.6 x 32.3 metres and 4.2 metres high ceiling and it can cater up to 600 guests for banquet style. Dewan Asajaya is located on the 1st floor of Grand Margherita Hotel and it covers 29.8m x 17m dimension and 4.2m high ceiling. Dewan Asajaya Banquet style seats for 380 guests. 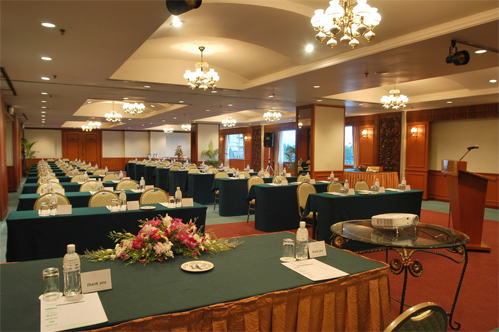 Conference rooms provided are ideal for small scale presentation or meeting ranging from 16 to 100 guests. Sadong is located on the Ground floor of Grand Margherita Hotel and it covers 7.62 x 23.72 metres dimension and 2.9 meters high ceiling. It can accommodate up to 100 guests. 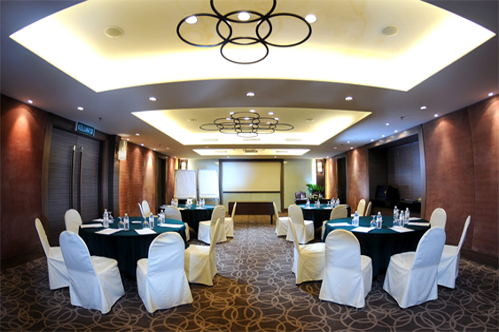 Sadong function room consists of 2 partitions where guest can hold a meeting or a seminar in a small scale for 50 guests utilizing only a partition of Sadong room. Crested Jay is located on the 2nd floor of Grand Margherita Hotel and it covers 8.2 x 7.8 metres dimension and 2.4 meters high ceiling. Perfect for presentations in small groups between16 to 40 guests. Caters up to 180 guests for banquet or 200 guests for theatre-style. Consist of 3 smaller rooms namely, Santubong Room, Bario Room and Mulu Room. Pelagus is located on the 3rd floor of Grand Margherita Hotel and it covers 15.3 x 10.5 metres dimension and 2.4 meters high ceiling. It can cater up to 200 guests. 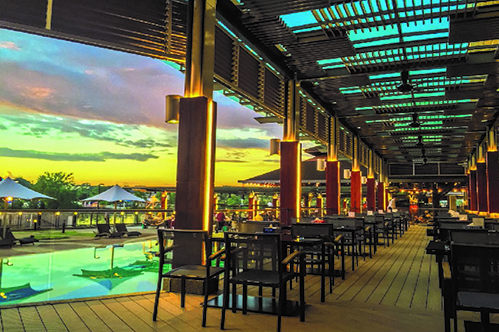 Set outdoor with the picturesque Sarawak River as its backdrop.